The feast! Casa de ciclista in Villa Maniguales. I got there and it was empty. I was bummed, I was really looking forward to some company and interaction after weeks riding dirt hyways alone. But slowly the cyclist rolled in and we had a great dinner. I first met Simon and Olivia back up in Lapaz. By completely different routes we bumped into each other again here in Southern Chile. Fresh snow in the hills. Proof that winter is coming on fast at the bottom of the world. Gotta get scootin. The Fetchaholic - we spent hours with that dog, and we definitely cracked before he did. Tailwinds from Puerto Natales! Hit Ushuaia today. About to turn round and head north!! Fantastic dirt road shots! Going to have to pick ya brains soon. Nice! There is alot of cobwebs and heaps of destroyed cells left from my 20's up there; but yer welcome to pick through whats left. Where ya wanna meet? 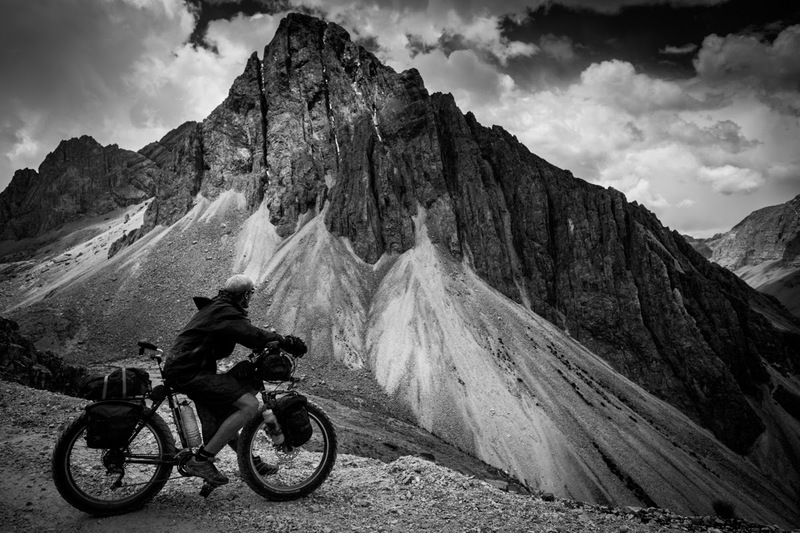 Somewhere we can do a little trekking with bikes!? Thanx, Yers too. I might. The weather has been amazing and I've been pedaling my days away just loving it. Not trying to move quickly, I just sort of am. We´ll see ya soonisher than later! The Campagnola caption is very funny. Stay warm. Glad you caught that one Joe, Thanx, I'll try. Hello my friend. i see that you are very quick to ushuaia. That make me happy. Also, you are already in the carretera austral, that's good news. i'm very expectant to your blog. Its a Spiderflex. You get them from: Spiderflex.com Its the best of thier kind.